Young M.A. put on a show for her Jamaican fans at Saturday night’s BritJam party in Montego Bay. 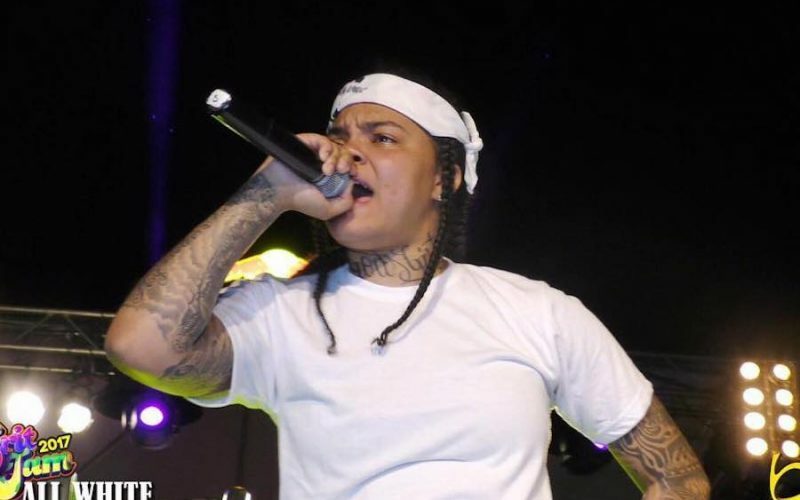 The New York lesbian rapper, who is of Jamaican descent, got a warm and welcoming reception from the Jamaican audience who is notorious to be a tough crowd for live performance. The Britjam All White party at the SuperClubs Ironshore Golf & Country Club saw a large turnout for the 2017 staging of the annual party. #youngma performing in #jamaica at #britjam all white ?? *scratches head* How in the heck did this happen?